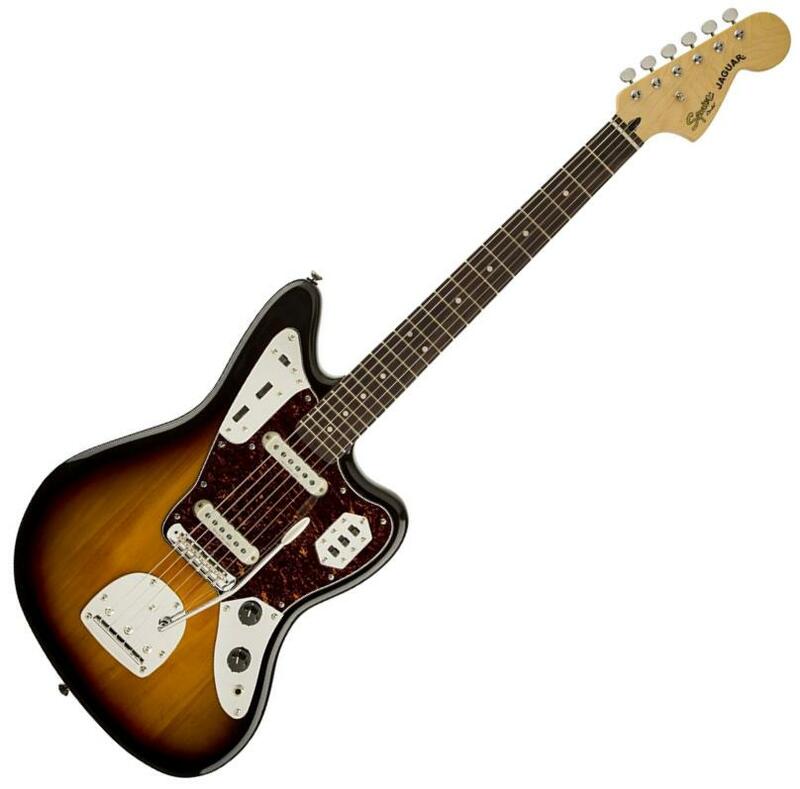 The Jaguar is one of those guitars that didn't do well while it was originally in production, but became much more in demand afterwards - thanks to guitarists like Kurt Cobain, John Frusciante, Johnny Marr and more. These days, a vintage Fender Jaguar will cost you many times the original price, so having an affordable option like the Squier Vintage Modified Jaguar was a welcome addition to the market. As the name implies, this guitar follows after vintage Jaguar guitars, albeit with some of the features modified to appeal to modern players. Its distinguishing features include the offset basswood body, the floating-vibrato bridge, and the dual-circuit switching and controls. One reviewer aptly summarized what many users felt about the Squier Vintage Modified Jaguar guitar, that it is a "Great blast from the past". A lot of the feedback pointed to the guitar's familiar yet distinct appeal, and its value for money, as its best traits. As expected, fans of surf music were well represented in the reviews, as well as modern rock players who were looking for a stylish and versatile sounding instrument. A number of players were also happy with its shorter than usual 24" scale length, which many put to good use by using thicker strings and alternate tunings. Problems with tuning stability was mentioned a few times, although the issue tends to go away as the string tension stabilizes with time and use. Speaking of strings, there are some who immediately changed the strings to gauge .11 from the thinner default set which starts at .09. Other concerns point to quality issues with the fretwork and finish. If you're into surf music, or you just like the offset shape, then the Squier Vintage Modified Jaguar guitar is highly recommended. The Squier Vintage Modified Jaguar was on our recommended list until we performed a detailed review of solidbody guitars between $200 and $500 in March 2019. At that time we found there were more highly rated options with single coil pickups to recommend and you can find them in our guide to The Best Electric Guitars Under $500.